Reissue of two original albums plus bonus tracks. Issued in jewel case with clear plastic double-sided tray. Housed in a slipcase open on the right side only. Custom sticker applied on shrinkwrap. 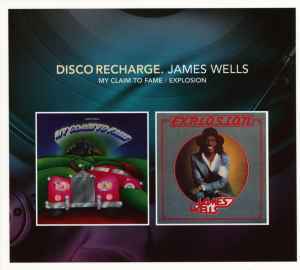 Sadly and inexplicably, this CD which would normally be comprehensive in providing all the great versions of James Wells hits, does not contain the original (and best, in my opinion) version of True Love is My Destiny.